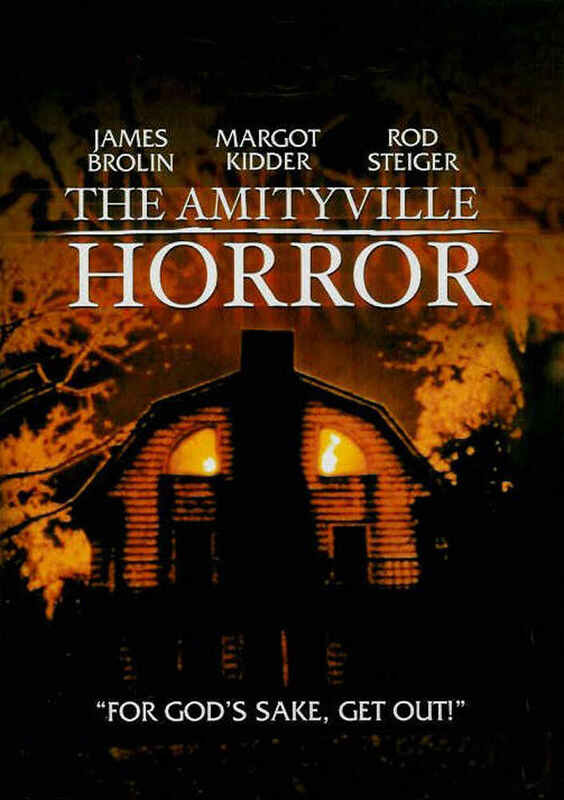 The central idea of The Amityville Horror isn’t a new one. A house which seemingly possesses or drives the new inhabitants crazy has been done many times before and since and in a lot of cases, much more effectively than here. The movie starts very strongly. The new family movie in and the two key characters, mother Kathy played by classic Lois Lane Margot Kidder and father and step-dad to her children, George played by a grizzly looking James Brolin, start their new life in content ignorance. They make for a very likable couple, making the transformation which will happen to Brolin much the more effective. That transformation starts well and there are some great scenes of horror in the beginning of the movie. A priest trying to bless the house comes across the malevolent force inside, while a creepy imaginary friend called Jodie does enough to freak anyone out who has a young daughter. A lot is done early on in the movie to signpost that there is evil in the house but what seems to be lacking is what that evil actually is and what the threat is supposed to be. As the movie progresses it becomes a long parade of different horror tropes. 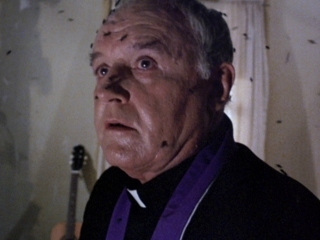 The Amityville Horror has everything from swarming flies, religious idols being destroyed by paranormal forces, creepy chairs rocking on their own down to Brolin starting to lose his mind as he gets more and more sick. The issue arises when the movie fails to decide what the threat will be and what is actually causing the issues. It means that the horror feels slightly random and the movie disjointed at times. Most horror movies slowly build the tension and experiences of the main characters until they reach a huge, scare-fest of a finale. The Amityville Horror has a couple of those moments throughout, from a babysitter trapped in a closet to the revelation that the house may be built upon something demonic. As each of these horror moments are introduced, they then seem to be thrown away. There is no pattern or sense to what is happening to the family. When you think the movie is about the Father starting to go crazy, he seems to be OK. When it may be about the house being possessed by a demon, there is then a revelation that Brolin’s character may have had something to do with previous murders. What may be set-up as red herrings are more confusing than clever and the movie begins to feel very messy. All of this builds to a very anti-climactic finale. Although there are some freaky moments and scenes which may have you squirming, the movie is never really outright scary and it won’t leave you scared to turn the light off or fearful of your own home. The finale is more of an action sequence than a horror one, with each “tense” moment not really leading to anything lasting or meaningful. Overall, a good cast and an intriguing first act don’t do enough to save The Amityville Horror from being another average horror movie. It has some very good ideas but most are left as just half-baked plots rather than a full story or explanation for what is happening to the family and what may be in their home. Too many horror cliches and not enough coherent story-telling leave this movie slightly underwhelming. Is it supposed to be the house that is evil after all? Watching this now, I agree it does feel like they throw a lot of different things into the mix. When it came out though, a lot of these horror “tropes” hadn’t been seen on screen yet all that much so it seemed like a chaotic hell that the family was experiencing. Also, much of the film was taken from accounts of the Lutz family about things that they say happened to them. However the film exaggerated those details to the point of being ludicrous. I actually like the second film better because it is more focused, though I’ve seen many reviews from younger generations that pan the film outright. I saw the remake before the original and the remake definitely has a clearer identity about what it is trying to be. Ryan Reynolds is more of “villain” in that movie where here, it doesn’t seem to know what it wants to do with Brolin.